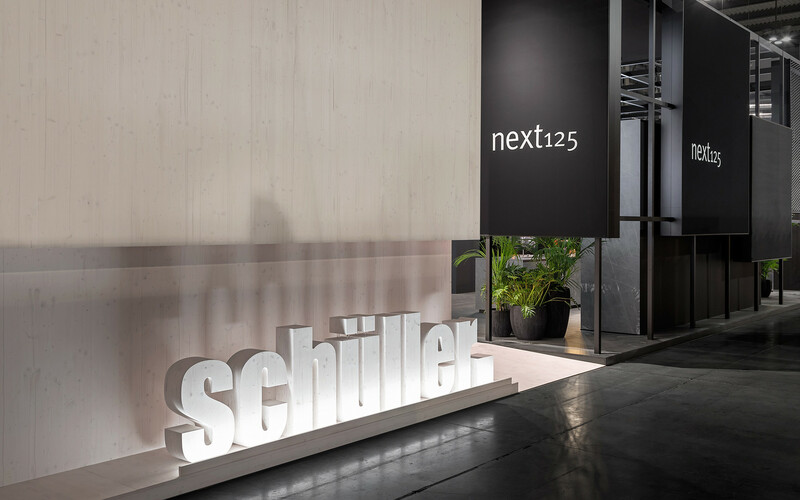 Cooking as a passion that determines our life's rhythm - that's the idea with which we have created a multifaceted appearance for the kitchen manufacturer Schüller’s brand Schüller.C and premium brand next 125. 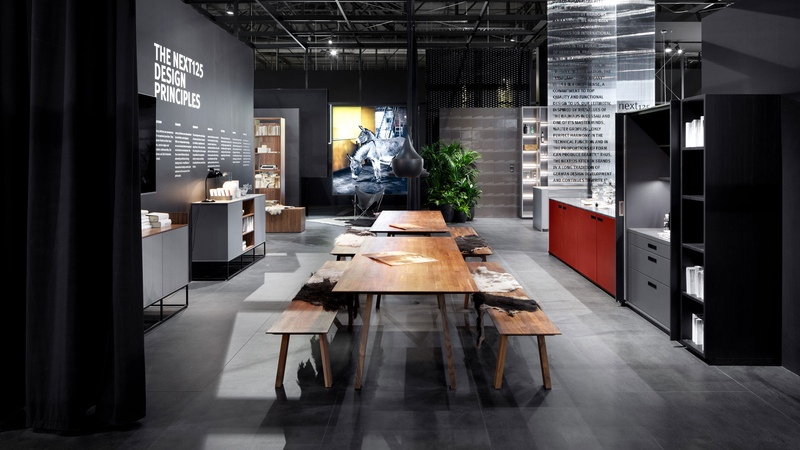 The double presence was first shown at EuroCucina 2018. Milan was both a premiere and a comeback - on the one hand it was Schüller's first cooperation with a design bureau, and on the other it meant the company’s return to the big stage of trade fairs. An extremely successful return. Reason enough to present yourself on the home market. The choice fell on the Living Kitchen 2019, which takes place as partner fair of the IMM in Cologne. We have scaled and slightly modified the design for this occasion, retained the basic design of the brand core in its conciseness and continued the detailed, loving decoration of the individual rooms. Stylish enough to cope with a wide variety of tastes - the presentation at Living Kitchen proves that this sophisticated design challenge becomes an inspiring and sensual experience.